Visual Studio Code>Other>Secret explorerNew to Visual Studio Code? Get it now. 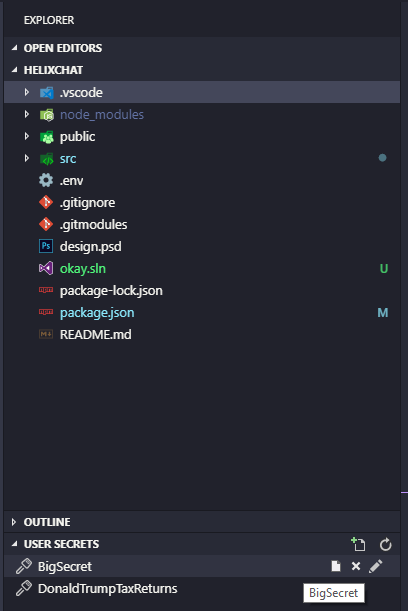 Simple extension for VS Code that adds a view in File Explorer sidebar for managing UserSecret folders.